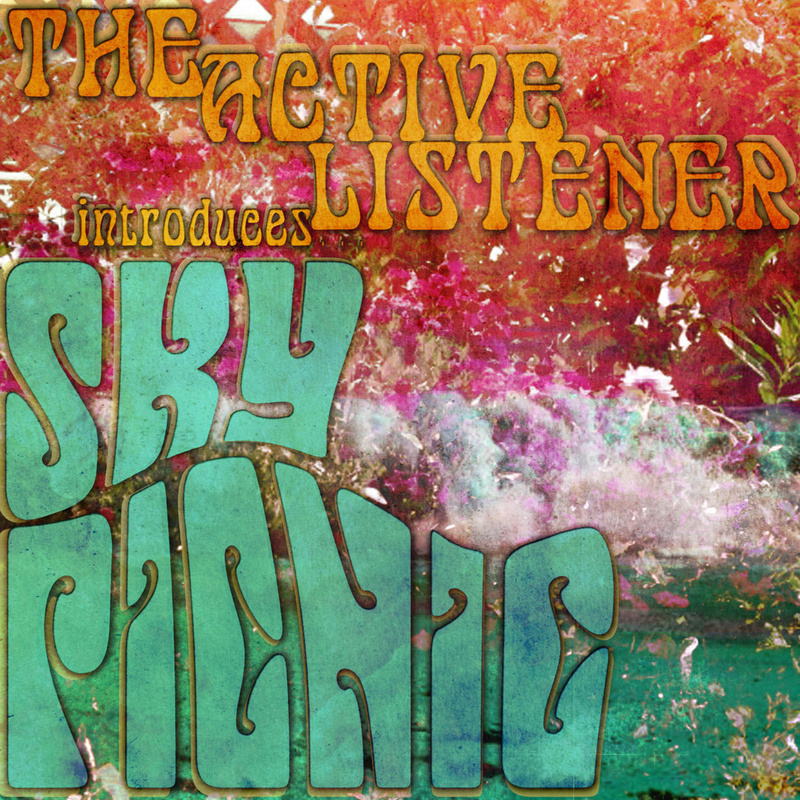 Active Listener entered the label business at the beginning of the year and one of their highlights is the Introduces… series, which offers compilations of some of their favourite artists as handy overviews for newbies and fans alike (some of the entries include rare singles, compilation appearances etc, making for great catchup sets). Sky Picnic is a Brooklyn-based band with two full -engths and a slew of singles and compilation appearances just ripe for the series. Fans of the (late, lamented) Rainbow Quartz stable of artists from the poppier end of the psychedelic spectrum (Deleted Waveform Gatherings, The Gripweeds, Asteroid #4, The Story, The High Dials, Outrageous Cherry) will feel right at home with Chris Sherman’s sinewy guitar-lines and spacey keyboards. It’s always helpful to begin at the beginning, so the album opens with the hypnotic ‘Hide & Seek’, the first track from their self-released 2010 debut album, Farther in This Fairy Tale. Some trippy wah-wah guitar flourishes seal the deal. It’s got a little of everything: sleepy vocals; weird, horror movie synth washes; Dead-like guitar tuning segments; rattling cymbals. Thankfully, they edited out the drum solo! The drummer was also apparently jettisoned as well - the band is currently a duo. The lengthy guitar solo at the end is just right, too: fading out before entering wankoff territory! Elsewhere, funhouse whispers summon Eugene and his ill-fated axe on the stalking ‘Freak Out Ethel’ (complete with gnarly solo), and Uncle Floyd is also present at the epic, somnambulistic trance-inducing ‘Slumbers Gate/Aurora’, which feels like something they left off Meddle. The bad news is that Sherman resequenced another 'Paint Me' track (the rather meandering ‘Ripple’) in between the two, thus ruining the head-flow. The good news is that the original ‘Aurora’ was edited to fit on the album, so now you can hear it in all its unbridled psychedelic glory... And sequence it back where it belongs. The set ends with a look into Sky Picnic’s future with ‘June Sunshine’ from their forthcoming third album, which suggests more of the same is in store for fans and new converts. Some of my favourite tracks from last year’s Paint Me a Dream have been omitted, as has their brilliant contribution to Fruit De Mer's tribute to The Pretty Things' S.F. Sorrow, but that just leaves satisfied listeners of this ‘Introduction’ with the opportunity to pick up the previous albums and be assured that similar goodies await.